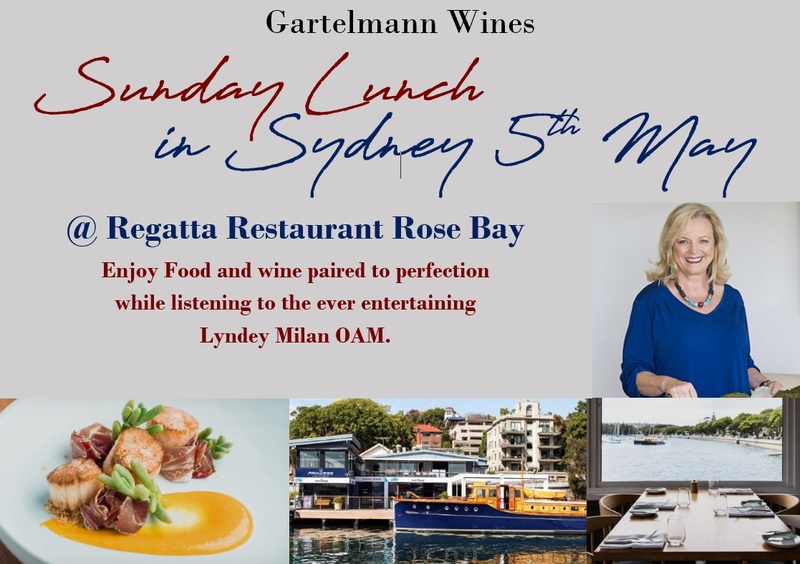 Gartelmann Wines is a boutique, family owned cellar door and wine producer, based in the idyllic Hunter Valley in NSW. We specialise in fine hand-crafted wines using grapes sourced from the Lower and Upper Hunter Valley, Mudgee, Rylstone, and Orange regions of NSW. Our cellar door is open seven days a week. Visit us for a wine tasting in our cellar door or choose to have a tasting on our covered deck overlooking the dam. Taste wines from our multi-award winning Semillon and Shiraz through to our aromatic Verdelho, elegant Chardonnay, soft Merlot, delicious Cabernet and complex Petit Verdot, to the honey sweetness of the dessert Ambrosia and the toasty spice of the Liqueur Muscat, Gartelmann Wines are sensational at every turn. We are also now featuring local artists at our cellar door. So next time you visit you will be able to admire the work of Katrina Rose. For more information on Katrina and her works CLICK HERE. The Deck Café restaurant (024930 9007) is on-site and is open 7 days for breakfast and Lunch 8.30am - 3pm daily, wander over from our cellar door and have lunch and coffee or lunch and a Gartelmann wine. 4.5 stars Winestate Central NSW Tasting Edition May 2017 // This is not a wine for the faint-hearted, redolent of warm Mudgee summers with the smokiness of a distant bushfire. Dusty blackcurrant characters immediately assail the nose with sweet cedar and sandalwood notes following. If you can inhale just round the edges you’ll also see a spiciness... is it eucalyptus or paprika, lanolin, white pepper or maybe even jasmine. 3.5 stars Winestate Magazine, May 2017 // Pavarotti, classic, clean, intensely dramatic with fantastically sweet high notes but a seamless range and depth of flavour underneath the smooth surface. This wine is a class act: engaging cassis fruit overture on the nose, blended blackberries and raspberries symphonise on the palate, with only the best of oak nuances, and a softly tannic final dénouement. Sublime, and delicious. CLOSED Christmas Day, Boxing Day, New Years Day. For bookings, please call them on 02 4930 9007. Here at Gartelmann Wines we like to express our passion, love and expertise for good wine through our Club G wine club. Our Club G membership gains you access to a wide variety of award-winning Gartelmann Wines for an astounding price. 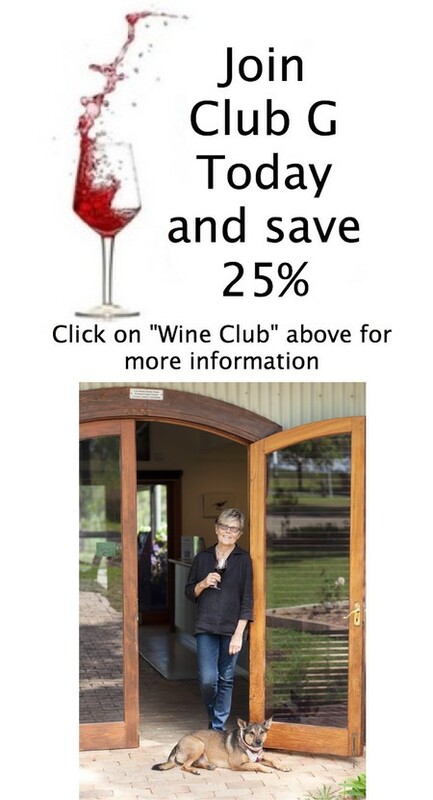 Upon signing up to Club G, you'll recieve a 25% discount on all wine you purchase as well as free freight to anywhere in Australia. No joining fee, 25% Discount, 12 Bottles of your choice delivered twice a year and FREE freight and shipping anywhere in Australia.